Along with “Bully!” – “Speak softly and Carry a Big Stick” are words that instantly make us think of Roosevelt. As someone who works daily to portray the great man, I think it’s important to understand where and why he said the “Big Stick” statement. The first documented public speech using the term was while he was Vice President and was uttered at the Minnesota State fair on September 2, 1901, only a few short weeks before the tragic assassination of President William McKinley. The “Big Stick” ideology refers to the concept that negotiations should be cordial with an understanding that more leverage could be applied. America at the time was not a world powerhouse, but the country had shown that through it’s use of resources and ingenuity, it could accomplish a great deal. Roosevelt believed that these attributes of American spirit gave it potential to be more than a country, it had the abilities to be a world leader. His role as Vice President at the time was not an influential role, and in fact he was placed in that role because his political opponents knew that a politician placed in the Vice Presidential role was seldom heard from again. Roosevelt was not a good one to warehouse, and his rhetoric soon was filled with the concepts of American influence in world events. 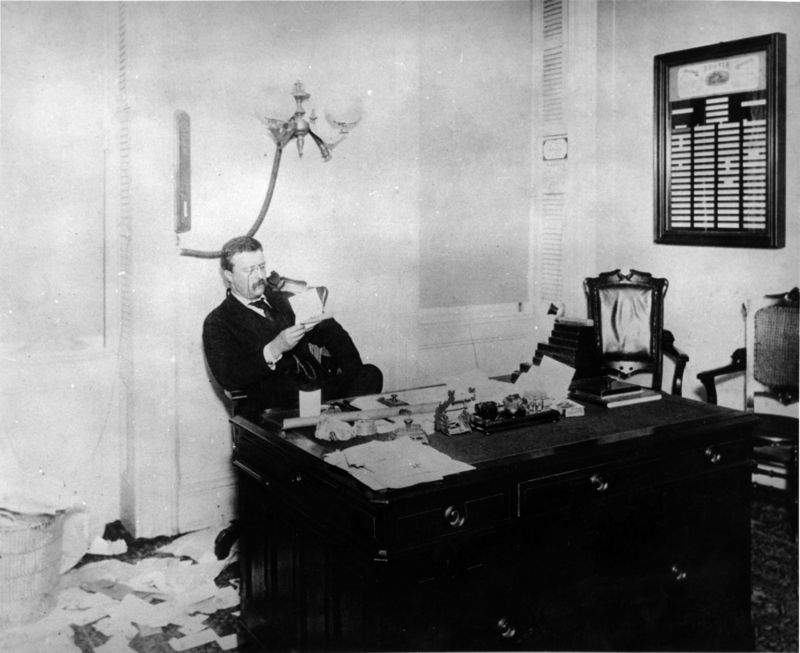 Roosevelt believed in a strong military and as Assistant Secretary of the Navy, he had built up the navy with modern ships and weapons. Because there was no simple way to move ships from the east coast to the west to protect our interests, our navy was essentially split, serving each coast. This meant from a numbers standpoint, we had a very large navy compared to other countries. This was in Roosevelt’s mind, a “Big Stick” to influence others to negotiate with us. He believed that a strong Navy meant a strong country, and his perceptions were built on centuries of reality. Now, in the U.S., we had a very large Navy and a Vice President with a proven military track record (Col., Spanish American War Rough Riders) and an ability to influence the American populous as well as international leaders.